Before Axe Man’s Bridge formed in 2012 each of the members were friends who supported each other’s music endeavors. Things had not gone as planned on the musical paths that they were on, but they each had not given up on what they loved to do…which was making music. Seeing they each still had a passion to rock the music scene, they decided to join forces and Axe Man’s Bridge was born. Using their past experiences has benefited them individually and as a whole. Each band member brings their own style, essence and background that makes Axe Man’s Bridge one of a kind. 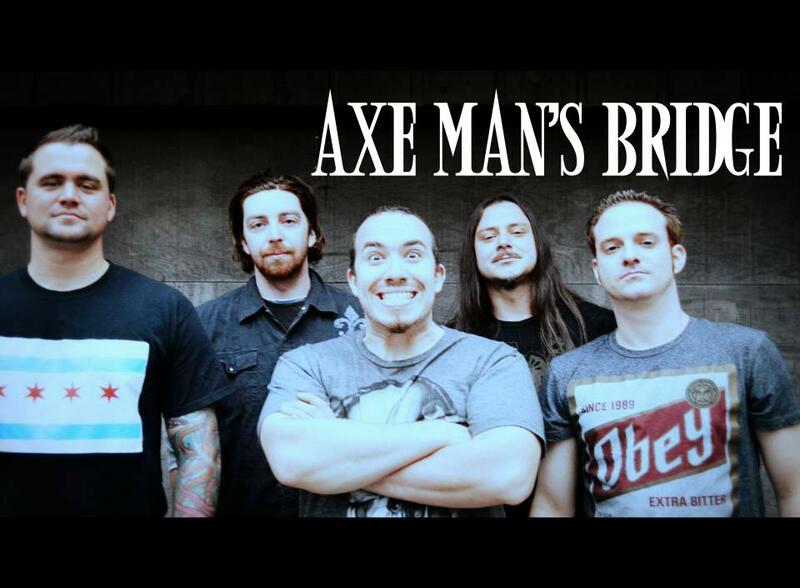 With their songs being described as heavy, melodic and distinct and their performances being engrossing, passionate and intense; Axe Man’s Bridge brings a whole new sound to the alternative metal fans that is sure to not disappoint. The name of our band came from a local legend from our home town in Crete IL. We don’t know how the legend started, but it is said that an axe murderer lived in the area of the woods that is practically the backyard of where we practice. We had a hard time coming up with a name for our band but Axe Man’s Bridge was something we felt was rather fitting not only because of the location but because we felt it gave us an edge just like our music.